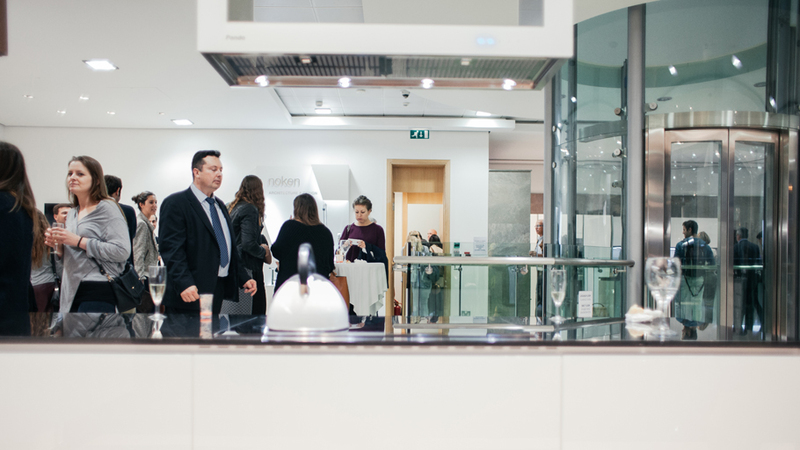 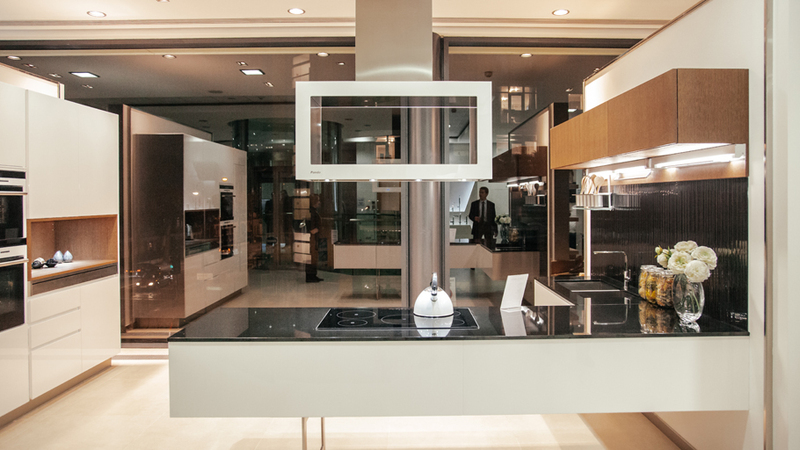 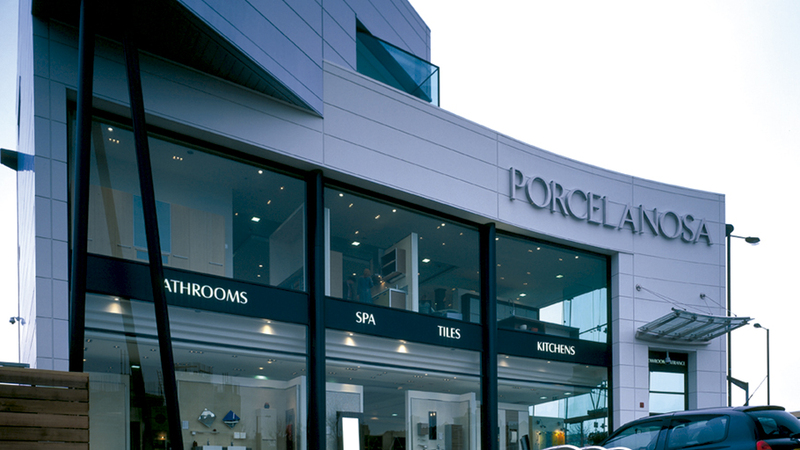 In order to accommodate the new designs from the PORCELANOSA Group ‘s firms, the London showroom in Fulham has been entirely refurbished with a view to offering the local customers the quality of service they deserve, and with the comfort of the customer in mind. 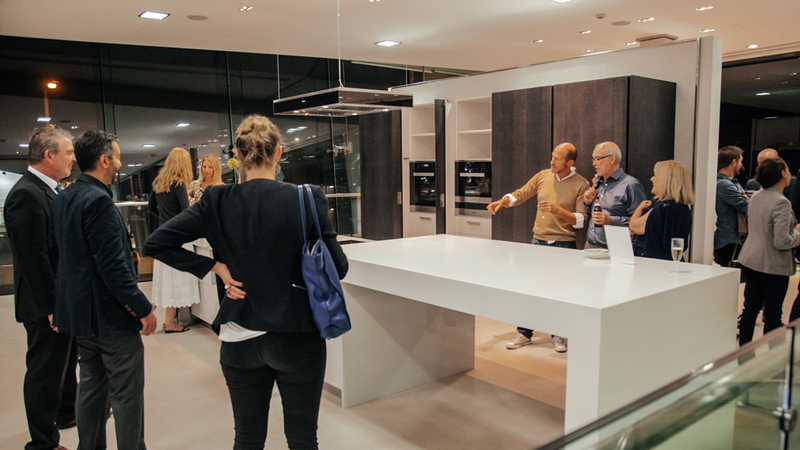 One of the principal reasons for doing this refurbishment lies in the enlargement of the facilities space, which was done by widening the area destined for allocatinging the kitchen equipment, where various Emotions kitchen models by Gamadecor are being shown. 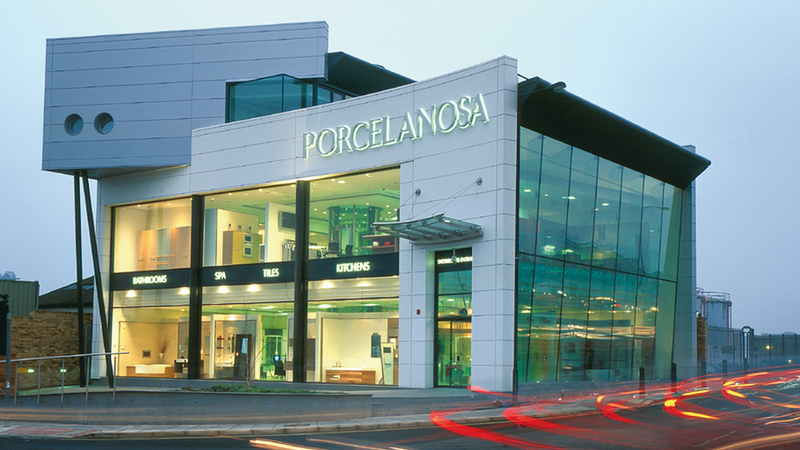 Recently, Porcelanosa gave a cocktail party to present its newly refurbished facilities in the area. 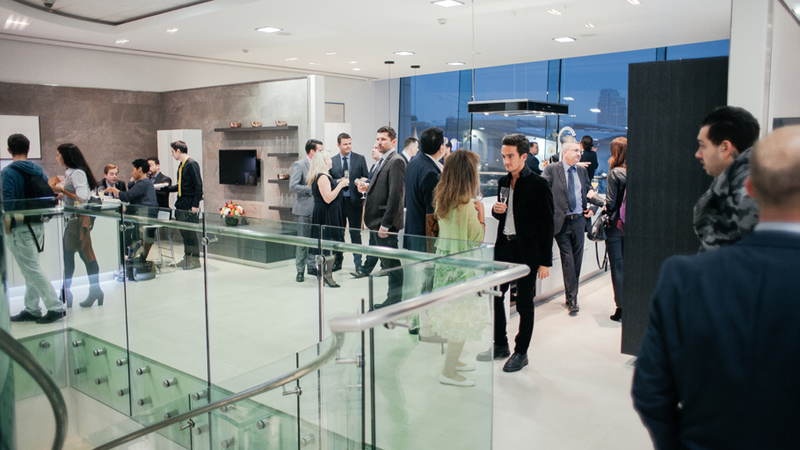 Around 400 guests took part in this unique evening event in which a Spanish atmosphere was created. 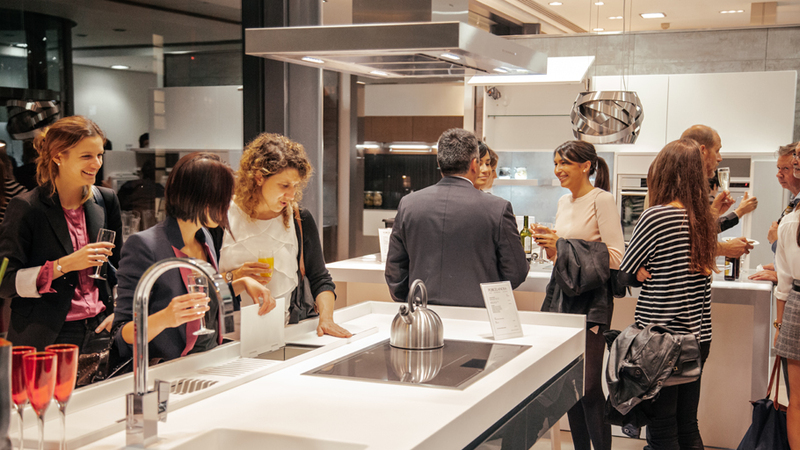 Both Porcelanosa’s partners and customers attended the cocktail party, of whom, mainly architects and interior designers who have always believed in PORCELANOSA Group products and materials. 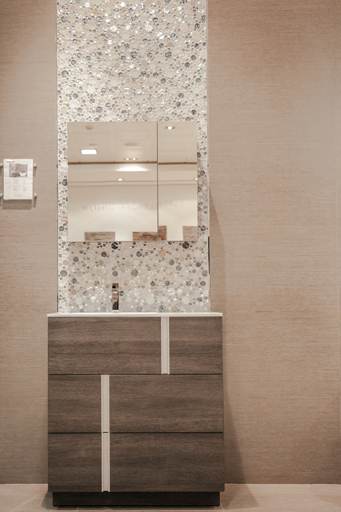 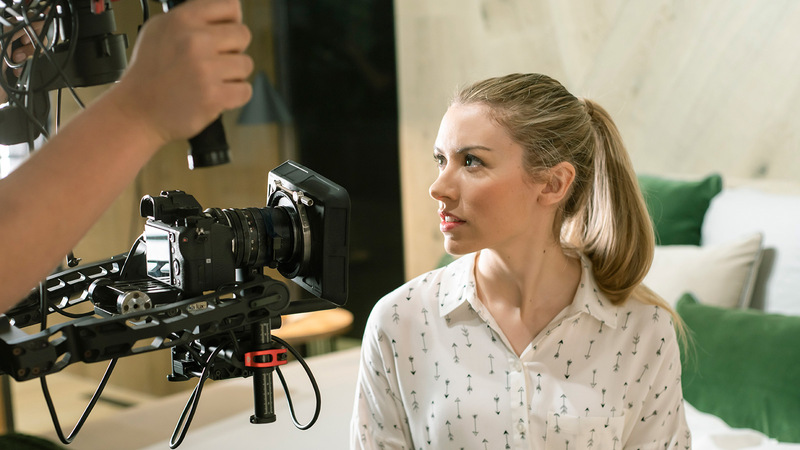 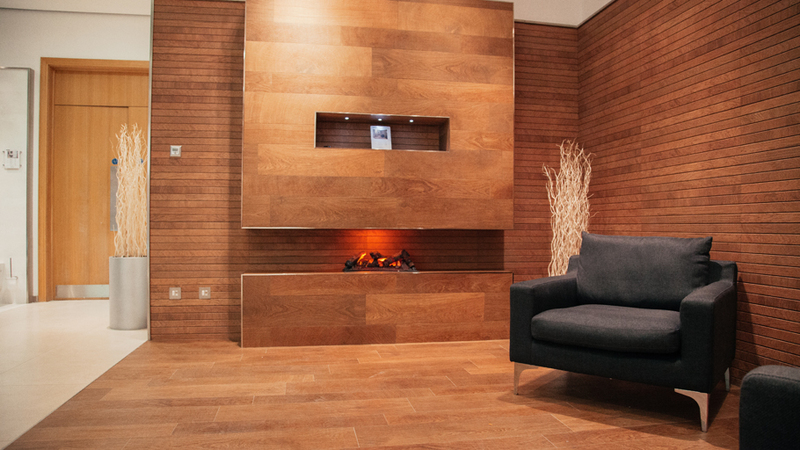 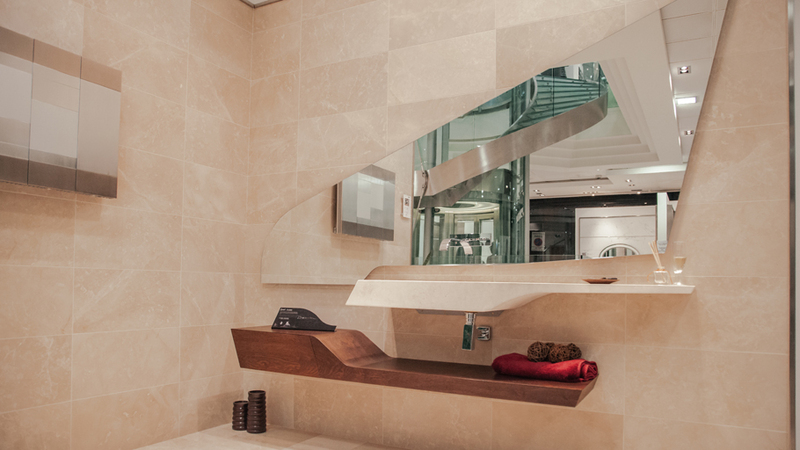 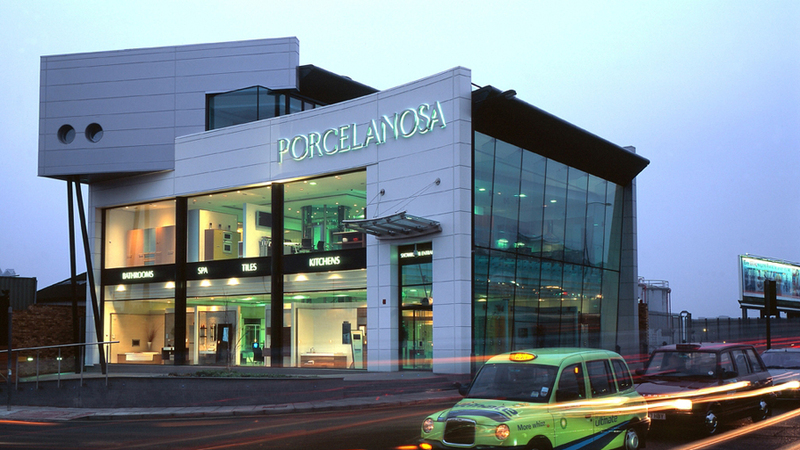 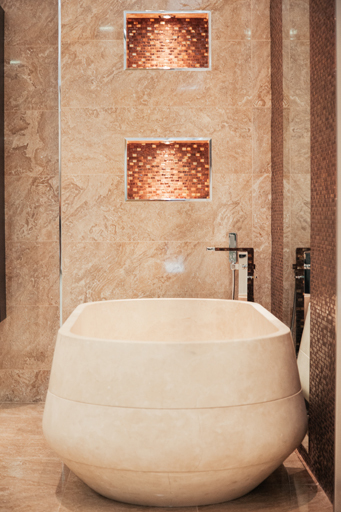 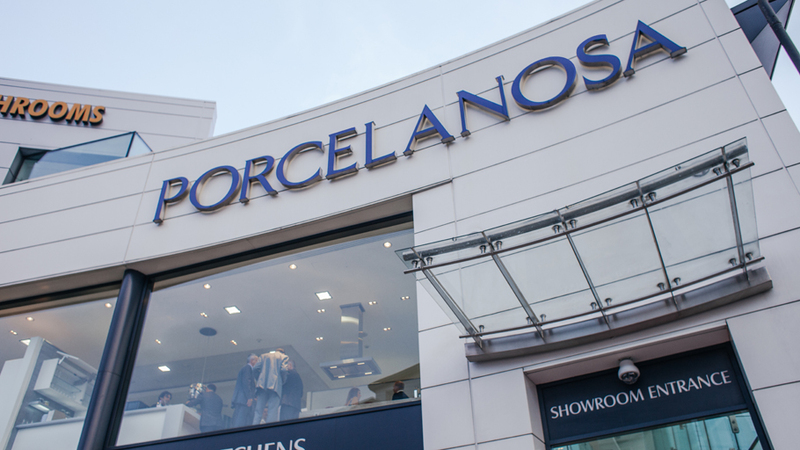 Located in the south-west of London, in one of the busiest roads in the north river bank of the Thames and around Wandsworth Bridge, the Porcelanosa showroom in Fulham has a total space of 750 square metres, which are laid out on three floors. 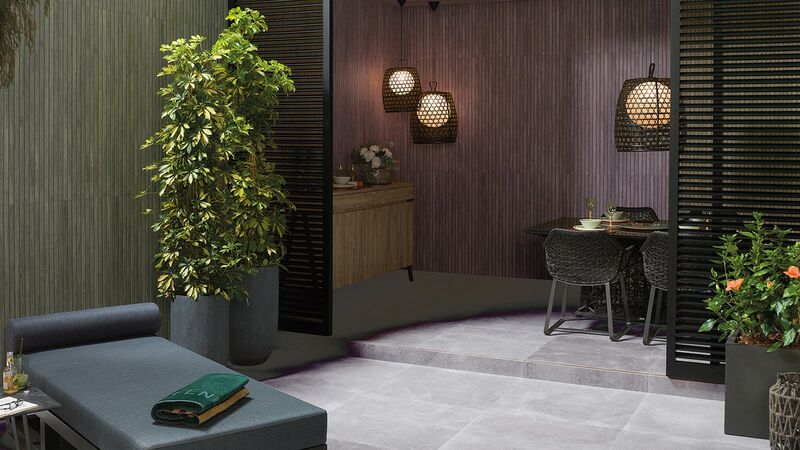 Two of their floors allocate the exhibition of the latest products and materials for the bathroom features, whereas on the other floor, one can see the latest Group’s firms’ designs as far as kitchen equipment is concerned. 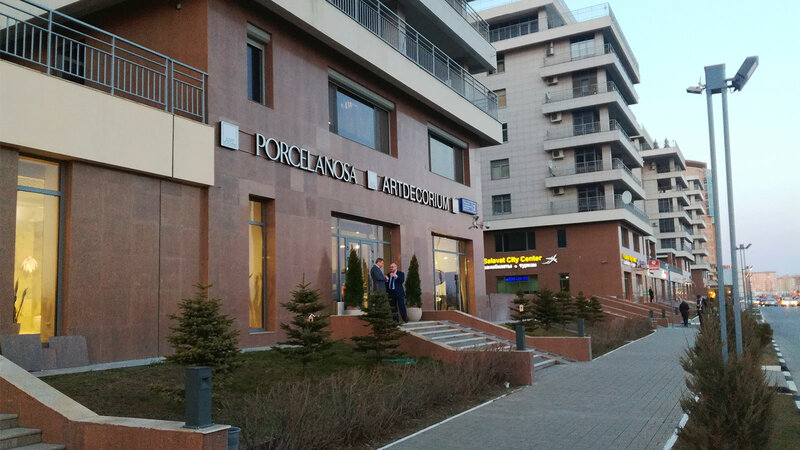 The design of the building, defined by a dynamic play of volumes where straight lines and curvatures collide, stands out in the architecture of the area and invites the pedestrians to pass by. 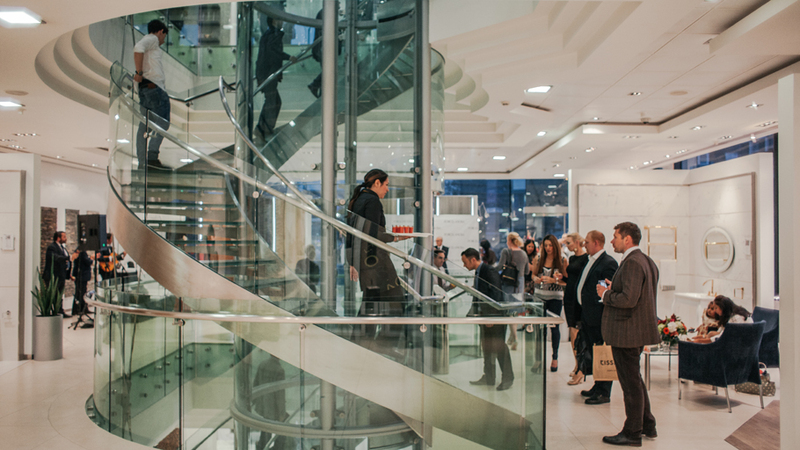 One can watch the interior environment and spaces through the building’s big glass walls.